If paradise had a seminar on keeping it real, the result would be Mauritius. Tropical yet grounded, this island off the eastern coast of Madagascar gets the travelers that aren't star-struck by the luxury resorts of Seychelles yet still want to be dazzled by white sand beaches and water a very bright, very clear, blue. Mauritius has been passed around between the Dutch, French and British and each has left their own mark on the island, whether it's from introducing certain animal or plant life, leaving some of their own people, or killing off the dodo bird. 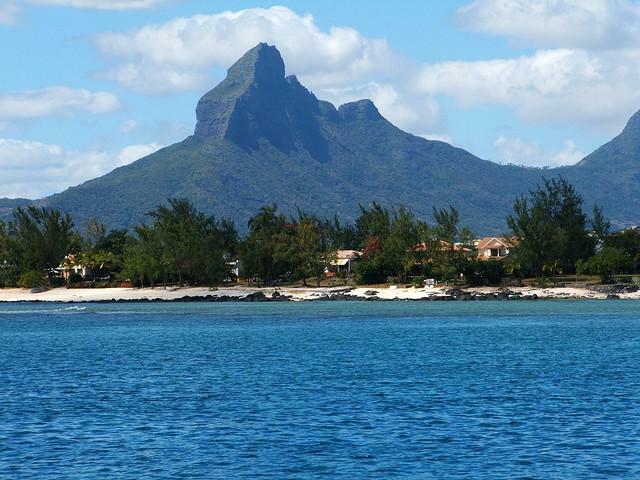 When Arab sailors discovered Mauritius, the island was covered in a thick forest only limited by the beach. A thriving ecosystem still exists and tours of nature reserves and rainforests are still popular among the local backpackers that come to the island. The north east portion of the island is considered the tourist center both for its attractions and the concentration of restaurants and nightlife. Search out the Balaclava Ruins before lunch and mountain bike or hike the Labourdonnais Orchards in the afternoon. A wide variety of tropical fruit trees and exotic flowers will be your reward. Read: Mauritius: An Exquisite Land in Paradise. Route your trip through South Africa, Zimbabwe, Britain, Austria or India. All have flights landing in Mauritius. Read: Paradise Lost & Found: Mauritius. Mauritius is full of five star resorts and luxury hotels, but compared to Seychelles, the hotels are a bargain. For budget hotels, the Beachcomber hotels are a good bet or La Maison d'Ete. There is also quite a collection of hostels available for a tropical kind of place. If you're looking for recommendations for a certain type of hostel, check out the message boards. Read: Paradise in the Indian Ocean: Mauritius.